World number one Mark Selby was the victim of the one of the biggest shocks in Betway UK Championship history as he lost 6-3 to amateur James Cahill in the first round. Three-time World and two-time UK Champion Selby was one of the favourites for the title but failed to even make it to the TV stages in York as he was outplayed by 22-year-old Cahill, who was handed a place in the 128-man field as one of the leading ‘top-ups’ from the Q School ranking list. This is familiar territory for Cahill as he beat Ding Junhui on the way to the last 16 of the same tournament four years ago. He subsequently dropped off the pro tour in 2017 but showed today he still has the ability and temperament to compete on the big stage. The Blackpool cueman goes through to the last 64 to face Sunny Akani. Cahill won the first four frames with a top break of 70. Selby pulled one back and had chances in frame six but missed a short-range final pink to a centre pocket, allowing his opponent to go 5-1 ahead. A scrappy seventh frame went Selby’s way then he made a 103 to close to 5-3. The ninth came down to a safety battle on the final pink, and Cahill converted a brilliant pot along the length of a side cushion to seal victory. “Mark didn’t play as well as he can, but even at 5-1 up against him you know there’s still a match on,” said Cahill. “In the last frame I thought if I got a chance on the pink I’d just go for it because you don’t want to be in a safety battle against Mark. I didn’t feel nervous after the first frame, there was more pressure on Mark. Selby is now in danger of losing his world number one spot for the first time since February 2015. If Mark Williams goes all the way to the title in York he will go top of the rankings. 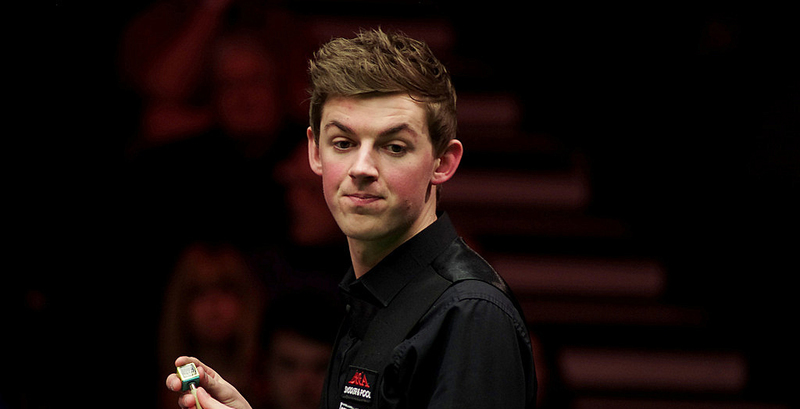 World Champion Williams had no such trouble as he beat Adam Duffy 6-2 with a top break of 68. Ali Carter saw off Thor Chuan Leong 6-3 with a top break of 96 while Anthony McGill squandered a 5-2 lead as he lost 6-5 to Lu Ning. Daniel Wells set up a match with fellow Welshman Williams by beating Zhao Xintong 6-5. China’s Zhao led 5-4 and potted the final brown to go 23 points ahead in frame ten, but then hit the blue so hard that it flew off the table.